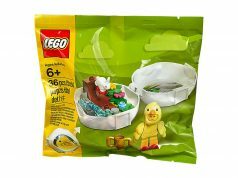 There is some news coming out of Dutch retailer Speelgoedn1.nl of some new LEGO sets coming out later this year. The first set is the MINI Cooper MK VII (10242) which we teased about last year. Some details of the set is that it is green and white with racing stripes. The roof is removable and you can see a beige interior with details such as the gearbox and handbrake. The site also mentions that there are also fog lamps. The MINI Cooper is the third vehicle set that is not tied into a particular theme following the Volkswagen Beetle (10187) and the Volkswagen T1 Camper Van (10220). It is possible that the MINI Cooper will be available on May 15th as the early VIP exclusive set. The next set that is mentioned to be released this year is Santa’s Workshop (10245). 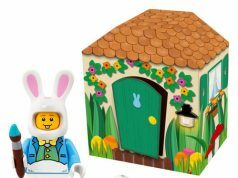 LEGO will be continuing the Seasonal theme again to add to your Winter Village. This set will have six minifigures: Santa, Mrs. Claus, and four elves. The final set that is revealed is the Carnival set (10244) which will fit into the Modular theme. Some details of the set includes a glow in the dark feature and has a whopping 12 minifigures including a juggler on stilts, a man dizzy from the ride, two boys, two girls, and more. Are you guys excited to hear about these new sets that will be coming out later this year? Update: A few of you guys have emailed me about the Carnival set. The set number that was provided is already for an existing set, the Town Hall, so that number will probably be different. Also, it may seem that the set may not be a modular set but a standalone. More information about it is that it’s a Tilt-A-Whirl type ride.